Who would have thought I could write 1000 words about a sewing pattern but I have, especially this brilliant pattern: Simplicity 1332A. 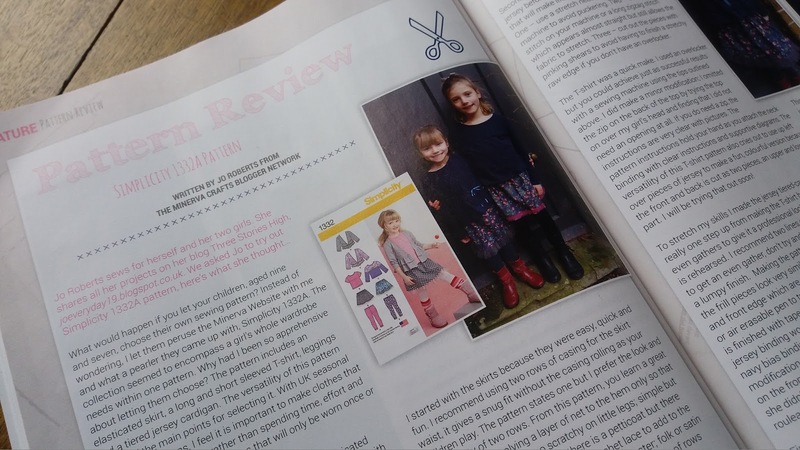 It is a pattern review for Sewing World magazine. 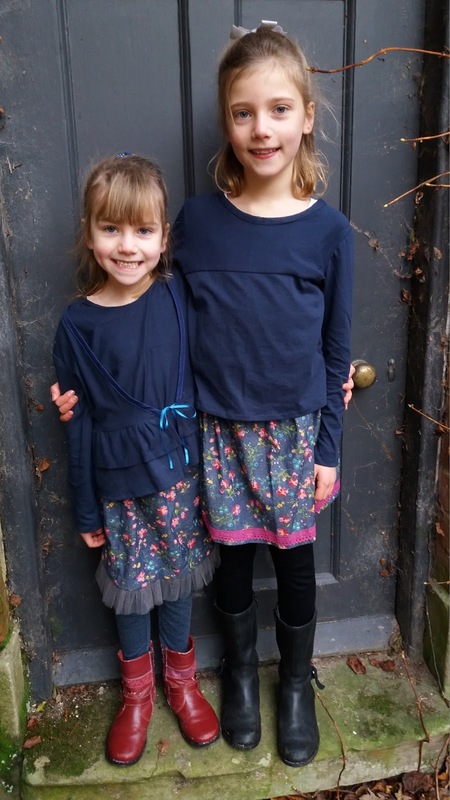 The girls chose it from the Minerva website. What a brilliant choice! It encompasses an entire wardrobe in just one pattern. I made the whole shebang over Christmas just so that I could test it all out. I learnt a new technique for applying net to the hem of the skirt so it is not too scratchy on little legs. 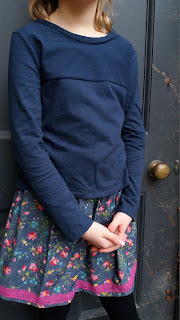 This printed chambray is from Minerva, not too stiff and great for all year round wear. 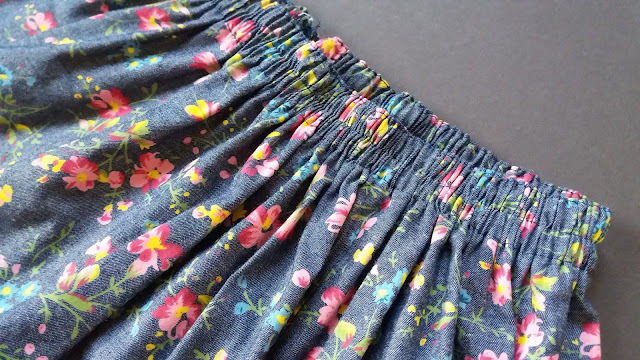 I always make a double casing when I make elasticated skirts for the girls, so much more comfortable for them. Now don't judge me but it was -3 degrees when I asked them to remove their coats, hats and gloves to get photos for the magazine. This was way back in December. They dutifully posed and then I togged them back up and poured hot chocolate from a pre-prepared flask. I did get some funny looks from other National Trust visitors though. I really recommend this pattern if you are sewing for girls. 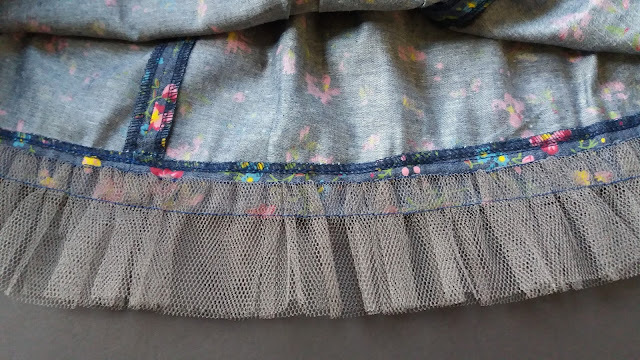 It takes you from an easy skirt, to beginners jersey sewing with the T-shirts and leggings, on to the more time consuming gathered cardigan. It has a large size range in the one packet too so I will be dipping in and out of this pattern for a while. 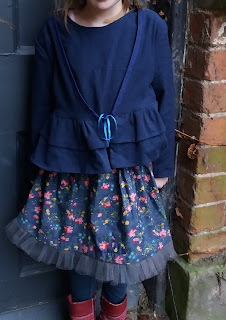 The girls are getting very good at this modelling malarkey. I wouldn't worry too much about the funny looks you got at the National Trust while taking the photos. You usually get funny looks at those places anyway, what with photo shoots, fungi chasing and finding fairy jellies. Lovely days out all. Well done on the sewing and the article. You are amazing! 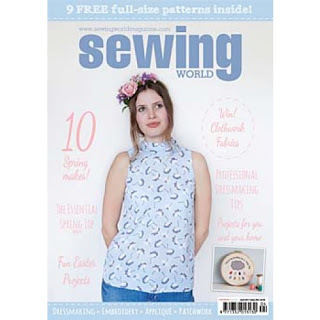 I'm going to get Sewing World magazine tomorrow just to read the full review! 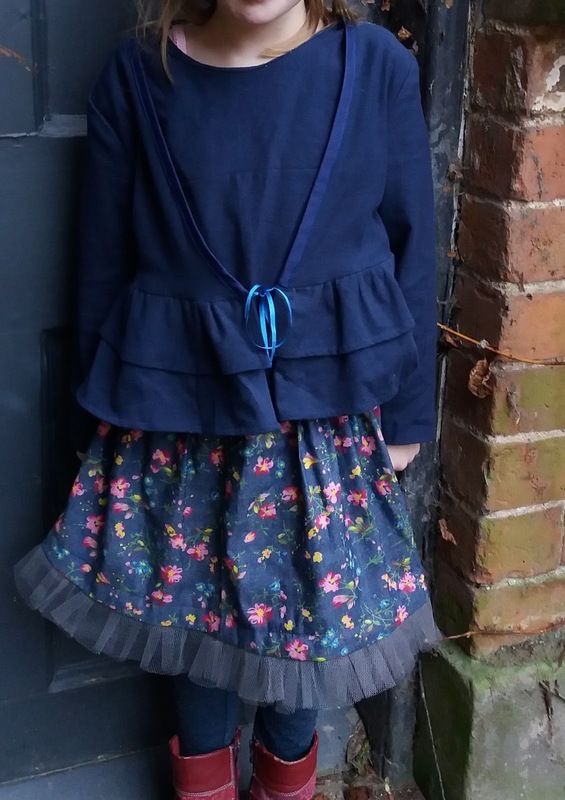 I see the pattern goes up to age 8 but you made it for your nine-year-old - did you have to amend it? Double bravo, Jo! I am going to send this post to my oldest daughter...such a useful pattern!! Thanks for sharing! !